In 2013, a new branch was added to the existing Oandu-Aegviidu-Ikla route, taking visitors from Aegviidu to Ähijärve. The new branch was created according to the same principles as the first one, i.e. the existing trails and rest stops were connected into one route. This branch is slightly longer, being originally 628 km long. In 2015, one more section was added to this new branch – the 192-km trail from Peraküla to Aegviidu, which now, together with the Aegviidu-Ähijärve section, make up the RMK Peraküla-Aegviidu-Ähijärve hiking route. RMK Peraküla-Aegviidu-Ähijärve hiking route goes through nine counties and a number of protected areas, offering along its 820 kilometres lots of amazing sceneries of Estonia: the spectacular sand and shingle beaches of West Estonia, the dark forests of Harju county, the wonderful grain fields in the fertile Järva county, the impressive wetlands of the Endla bog and Emajõe-Suursoo Reserve, the hilly and light-filled pine forests of Põlva county and Estonia’s best of the best landmarks in Võru county. The trail is signposted and marked with white-green-white paint marks. 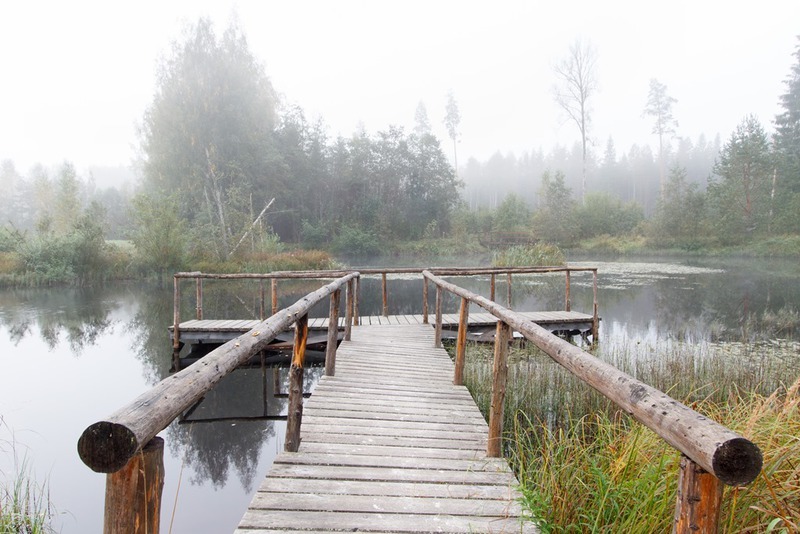 Estonia's longest hiking route starts at Nõva Visitor Centre at Peraküla and runs at first along a nearly century-old cobblestone road to solitary woods and then to the seaside. Along the trail there are spectacular lakes, amazing sandy beaches and wonderful villages. At Harju-Risti, Padise and Vasalemma there are shops where hikers can restock their food. This section of the hiking route is quite varied. Although most of the route goes along larger and smaller gravel roads, the trail introduces also some long, narrow and relatively wild paths, which can be challenging to pass. 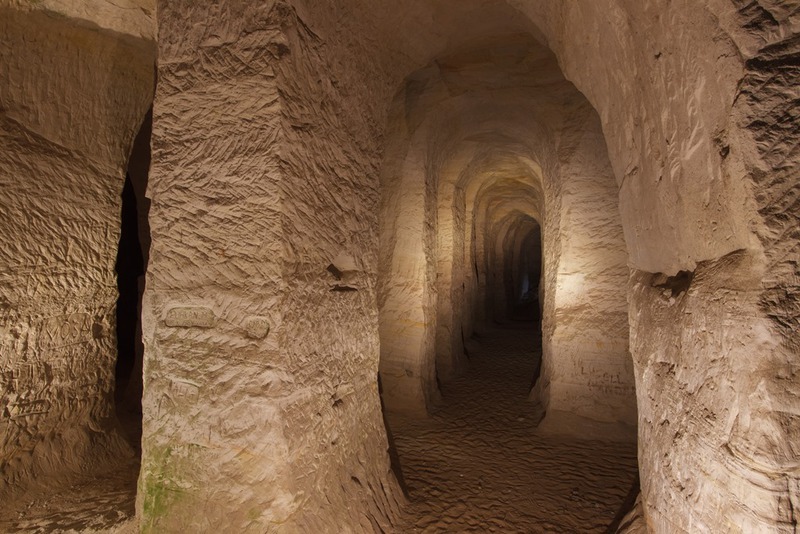 There are study trails along the route, for example the Metsanurme-Üksnurme history and nature study trail. There is also a patch of bog on this route – namely, the Saarte bog in Kiili municipality. In addition, the hiking route runs through the Tuhala-Nabala Nature Reserve, formed for the protection of the karst area. Due to its closeness to Tallinn, in this section one must also cross several larger main roads. 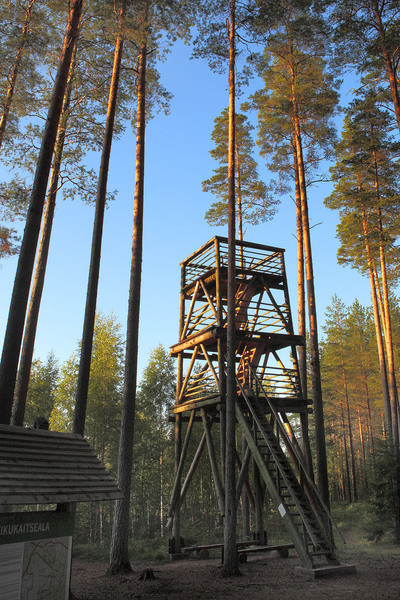 In this section, the hiking route reaches the forests of Kõrvemaa area. In Alavere there is a shop where food supplies can be restocked. Also the Jägala and Jänijõgi rivers are along the route. The end point of this section is at Aegviidu Visitor Centre. This part of the route starts from the yard of Aegviidu Visitor Centre and meanders its first 30 kilometres in the same track with the Oandu-Ikla hiking route. On Matsimäe esker, the trails branch at the hiking hotel "Rabav", where the Ähijärve direction turns south. The trail goes over the Seli bog to Simisalu, thereafter to Vargamäe and then over the Kodru bog to Järva-Madise. Here the classic nature hiking ends for some time, as the trail winds through Järva county mainly along roads that are mostly lined with fields and grasslands. Among larger places on the trail there are Järva-Madise, Aravete, Järva-Jaani and Koeru, where hikers can restock their supplies, enjoy civilization or even end or start their journey. The route runs through Koeru along its main street and then, outside the borough, goes towards the Norra springs area. The trail goes along a gravel road to the western part of the Endla Nature Reserve. This section of the hiking route starts with the miraculous springs area in the western part of Endla Nature Reserve. The hiking route continues up to Hundissaare campfire site between forests and meadows along a gravel road. 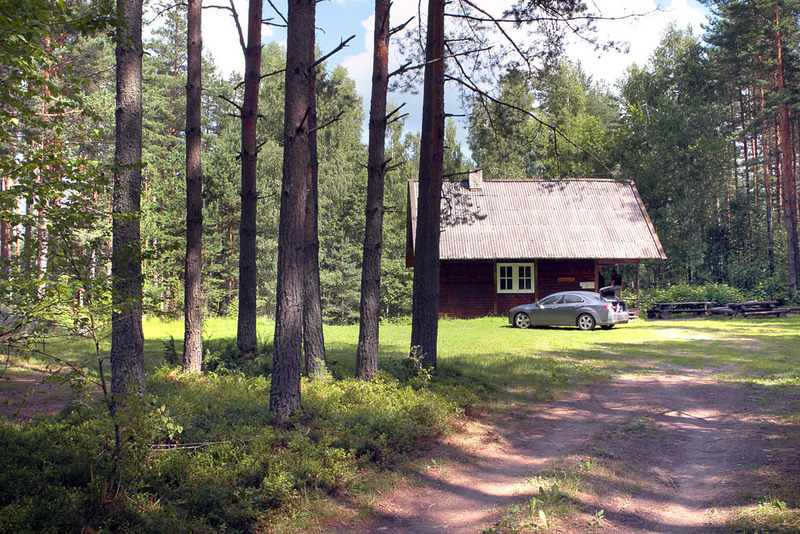 From Hundissaare, the route meanders in the massive forest along gravel forest rides up to the Jõgeva-Põltsamaa Road and then along a forest road to Siimusti campfire site. 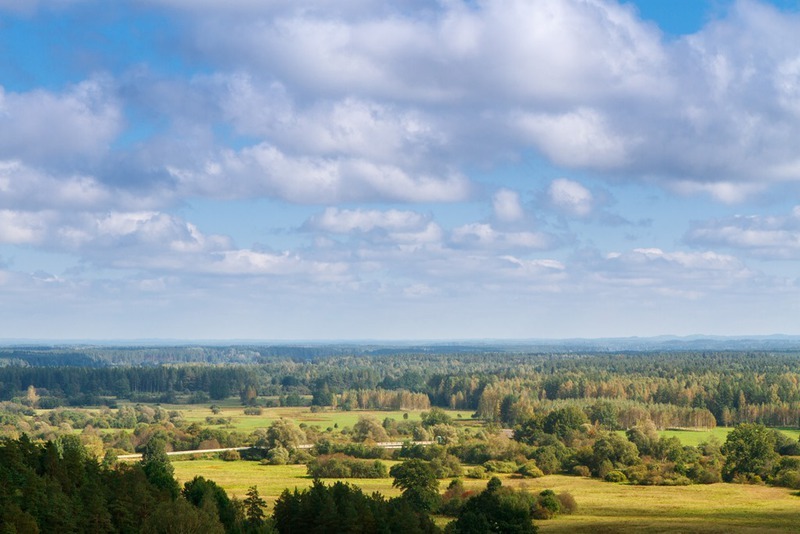 The hiking route goes through Siimusti, then along an asphalt road to Härjanurme, next it crosses the Pedja river and runs along gravel roads between fields and in magnificent forests up to the Tartu-Jõgeva Road and the railway. The tunnel under the railroad takes hikers to the other side. One can stop at Kassinurme campfire site. When leaving the site, a wonderful view opens from the top of the drumlin. The gravel road continues along the scenic Vooremaa area with its varied landscape. The trail passes Lake Raigastvere and proceeds to Elistvere Nature Centre, where it is possible to replenish drinking water supplies and ask for information. Parking area for cars and buses, an excellent place to start and end the hike. A paved road runs to Maarja, thereafter it is a gravel road to the Papi campfire site in a beautiful pine forest at Lake Saare. From there it is possible to go to the Kaiu lakes along a paved road. 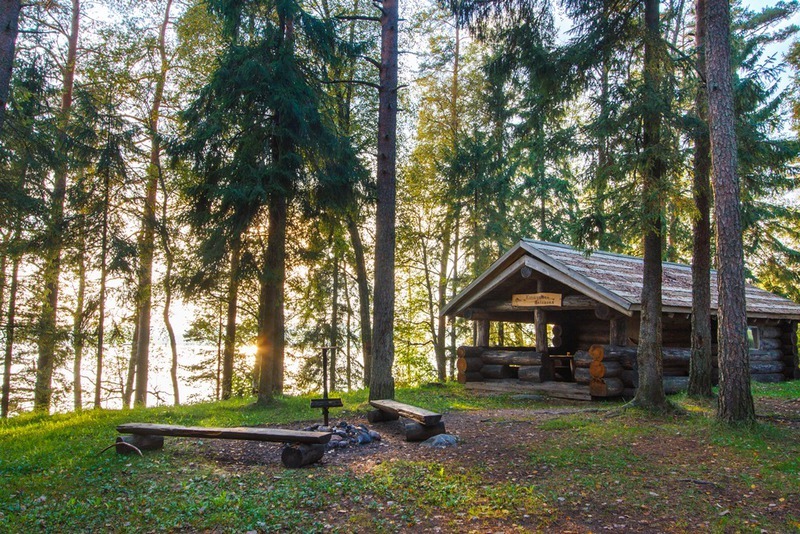 On this way there are five campfire sites with camping possibilities. The hiking route continues mainly along forest paths and rides through the diverse landscape of the Kaiu kame area and Selgise hills up to Kukemetsa rental hut. 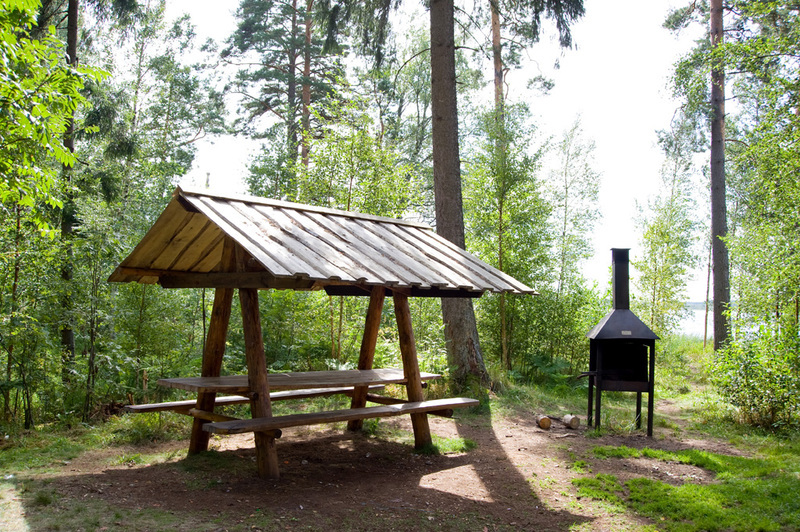 From the rental hut, the route takes the visitor along village roads to Tähemaa campfire site and thereafter, along gravel and village roads to Kantsi campfire site at the side of the river Emajõgi. A nature centre has been established in the former Kantsi tavern. There is also the start of the Emajõe study trail. When you start off at Kantsi campfire site, see that you will arrive at Kavastu in time to catch the cable ferry. Namely, at Kavastu you can cross the river Emajõgi on the cable ferry, walkers are also taken across by boat. On the other side, the trail first goes along an asphalt road up to Kastre village. Then it continues along straight forest rides and paths and later between fields to Võnnu. After Võnnu, the trail goes along gravel and forest roads to Ahja campfire site. From the campfire site you will arrive at Ahja, where there is a shop, cafe, Ahja manor and a pharmacy. On the way there is also a swimming place which is refreshing in hot weather. The trail goes on to Valgesoo Landscape Protection Area. There is a campfire site and it is possible to complete the 2 km Valgesoo study trail and take a look at the wonderful bog scenery through the yellow frame of the National Geographic. 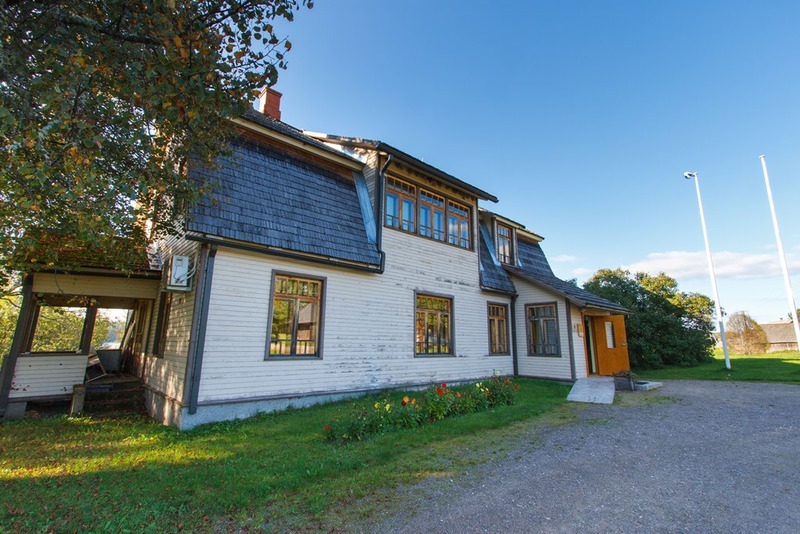 Kiidjärve Nature Centre is located in Kiidjärve village on the bank of the scenic Ahja river. 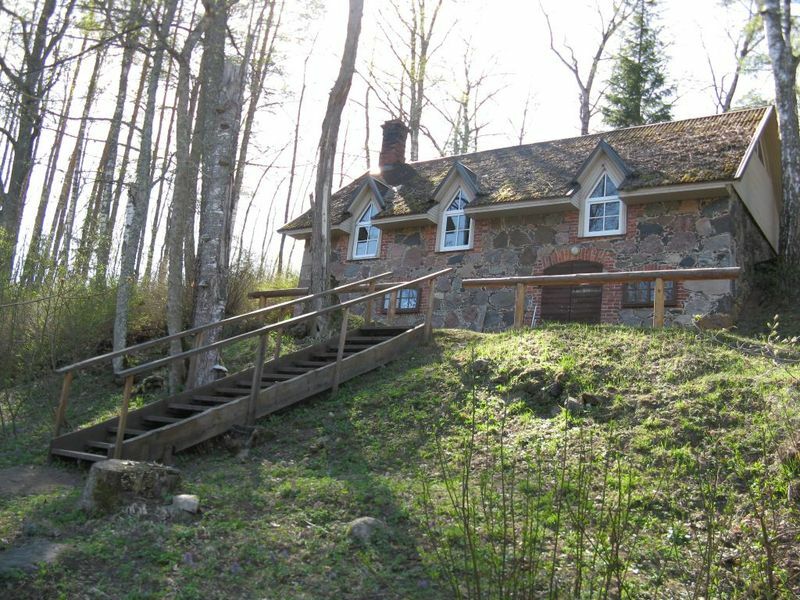 The nature centre is a good place to start and end your hike, as there is a parking area for cars. During the opening hours of the nature centre you can replenish your drinking water supplies and ask for information. From Kiidjärve, the trail continues along the bank of the Ahja river up to Taevaskoja and then on to Otteni rental hut. 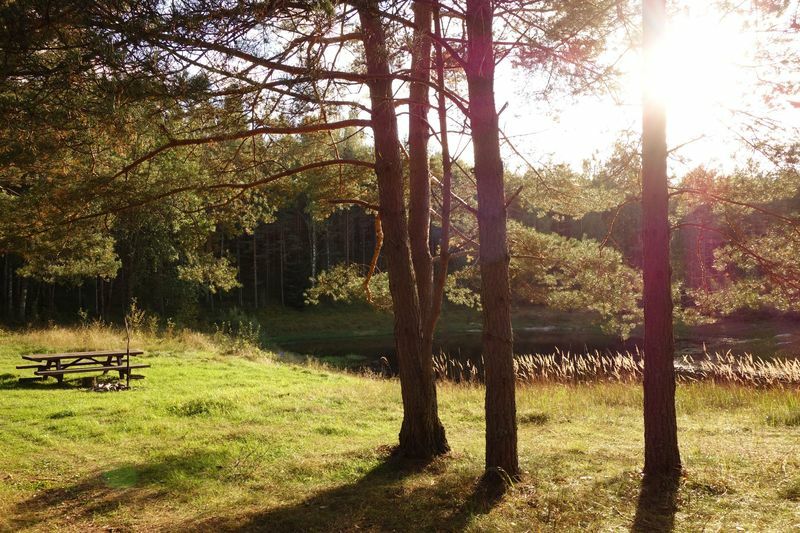 The hiking trail passes the places in which one of the most popular Estonian films "The Last Relic" was shot. 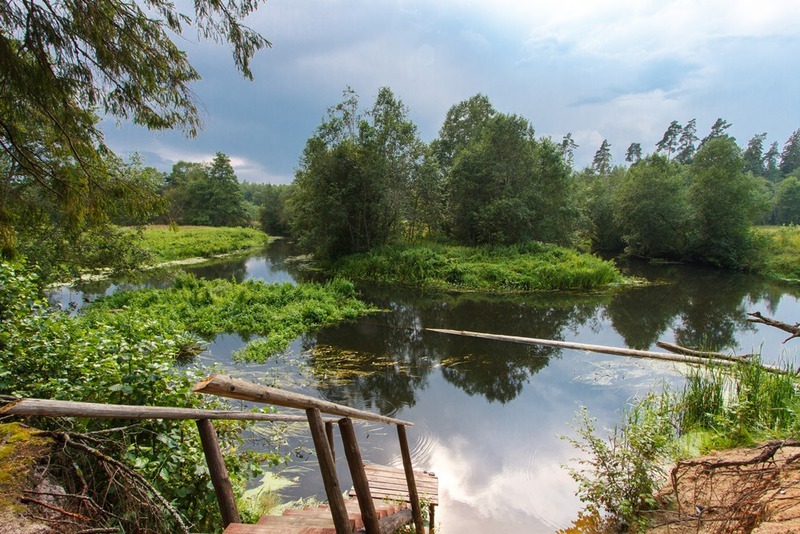 Next, the trail goes through the town of Põlva, the villages of Peri, Leevi and Paidra to Meenikunno Landscape Protection Area. 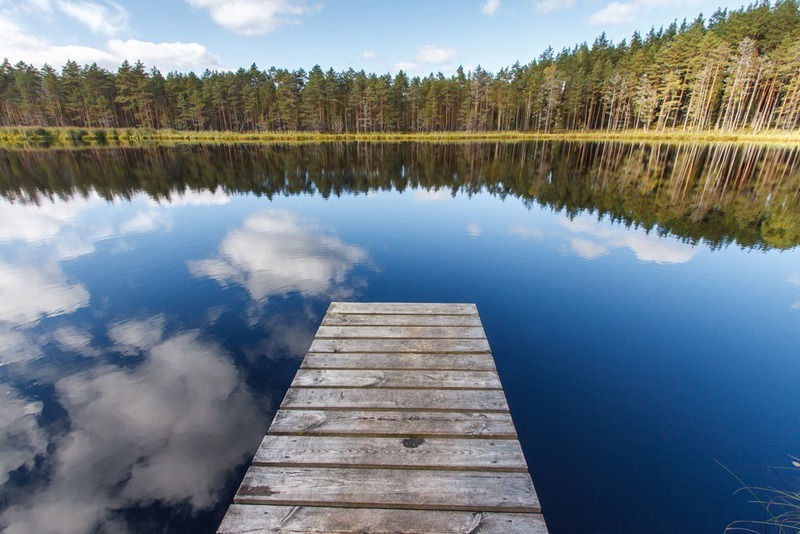 In the landscape protection area, there are two lakes quite near one another – Lake Valgejärv, one of the most clear-water lakes in Estonia, and Lake Mustjärv, one of the most brown-water lakes in Europe. At Värska, the journey continues through the former Värska 'Southern Camp' to Piusa Caves. Here the route continues towards Võru County. This section could be well characterised using the words "the largest", "the tallest", "the deepest"... The trail goes along the bank of the Piusa river, the river with the greatest drop, passes Härma wall, the highest sandstone outcrop in Estonia, Suur-Munamägi, the highest peak, and Lake Rõuge Suurjärv, the deepest lake in Estonia. 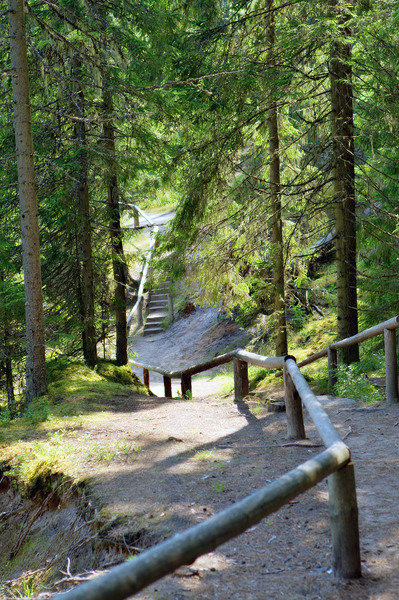 After Luhasoo Landscape Protection Area the trail gets to Pähni village, where you can find RMK Pähni Nature Centre. Here it is good to start and end the hike. During the opening hours of the nature centre you can replenish your drinking water supplies and ask for information. This section of the route is characterised by curvy village and forest roads, undulating open fields, numerous lakes and hills, and lots of berries and mushrooms in the forests in summer. From Pähni the hiking route goes along forest, field and village roads to the Paganamaa area, which is rich in legends. The jewel of Paganamaa is the chain of lakes at Piirioja. The Estonian-Latvian border divides the lakes into two. From Paganamaa, cyclists and walkers have to continue along different ways. Walkers are directed into the wild forest and cyclists continue along forest and village roads to Metsavenna campfire site. There is a shop and a tourist farm which introduces the life of "forest brothers" (partisans hiding in the woods during WWII). Next, the trail goes through the village of Naha to the sourthernmost tip of Estonia. After that, it runs along forest tracks to the Tellingumägi hill, where it is possible to enjoy the view of the amazing curvy Mustjõgi river and its floodplains. The hiking trail continues through the beautiful and luminous pine stands of Koiva and the wooded Karula National Park to Ähijärve. At the visitor centre there it is good to start and/or end your hike. During the opening hours of the visitor centre you can replenish your drinking water supplies and ask for information. Accommodation is available in the building next to the visitor centre.